Full-service design studio with a knack for custom furniture. Builder's Spec Homes and Real Estate Staging... Interior Design gets your home sold, fast! Casatopia is a full-service Interior Design Studio focused on the entire home: location, architectural style, interior elements, layout, design details, and furnishings. We begin with a meticuloulsy crafted concept statement to describe the essence of your home. This is the foundation of great projects. Why search for a home without an Interior Designer? We offer Real Estate buying and listing services and can remodel and decorate these properties to your specifications. If you’re upgrading, down-sizing, relocating, or searching for a vacation hide-out, let us find and create your next utopian home! Calling all Homeowners, Builders, Developers, and Yacht Brokers: Staging gets your homes or yacht SOLD! The proof is in the pudding, staged interiors sell faster and at a higher price than vacant spaces. Casatopia puts the finishing touches on your project with an acute attention to detail to attract prospective buyers. This phase demonstrates the homeowner's lifestyle, site conditions, costs, sales price, and project goals. Throughout this phase, we focus and refine the concept, review plans, design details, and special features. To bake a cake, you would use a recipe. To build or remodel a home, we use construction documents. Securing all materials to be baked into your project assures the home proceeds on schedule and in budget. At Casatopia, we're fluent in construction. During construction, we get our hands and high-heels dirty at site walk-throughs and progress meetings. We're detail driven, organized and flexible to jobsite curveballs. Best Day Ever! When your home goes from vacant to the fully furnished and decorated masterpiece you've been dreaming of. We take care of everything, just bring your toothbrush. 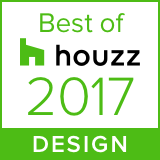 We love designing homes and hope you enjoyed the process too! During this phase we ask you to share the love and refer Casatopia to your friends and family. Vigorous writing is concise, but a picture is worth a 1,000 words. Searching for a home? Property orientation shouldn’t be overlooked. "Casatopia provides exceptional service and design. 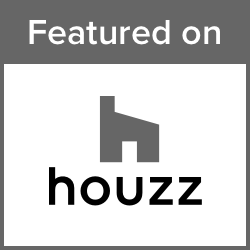 Suzanne is incredibly detail oriented, organized and relatable." "Efficient and inventive design intertwined with living." "Anyone that is looking for design services should make Casatopia their first call." "Suzanne can help you define your hard-to-articulate desires and work towards an obtainable solution." "I highly recommend Casatopia for your interior design needs. Suzanne Connor is very creative and can accomplish a project on-time and in-budget that is totally unique." "I enjoyed working with Suzanne from beginning to the end of our project. We love the relaxed "Hamptons Beach style" of our vacation home. Suzanne was always professional and took an interest in our family and its needs. I would highly recommend her as an Interior Designer and Decorator." "Suzanne is always very prepared, professional and incredibly organized. I always know that she has addressed every issue and that nothing will fall through the cracks. She gives us great peace of mind through what would normally be a very stressful process. I highly recommend Suzanne to anyone." "With the many companies and individual designers that I have worked with, Ms. Connor is by far the best and most adept I have the pleasure to have encountered. She is skilled and knowledgable in all areas of the industry and is totally hands-on in providing a superb product to her clientele." "I have worked with Suzanne for several years now and I have to say she is one of the easiest and brightest designers that I work with. Always a great attitude to be around." "Suzanne Connor and all of the Casatopia staff is incredibly talented, capable and organized. It was a very pleasant experience. Our home is amazing and we continue to get lots of compliments from our guests. We were so satisfied that we have recommended them to family and friends. Casatopia also completed my brother's home."